Dr. Cheryl Freeman is extensively trained to identify and treat patients, who may be experiencing abnormal force related symptoms such as headaches, migraines, clenching and grinding, ringing of the ears, jaw/facial pain, clicking/popping of the jaw joint, breaking teeth and dental work, TMJ and other maladies. Dr. Cheryl Freeman will perform a comprehensive examination of forces in the head, neck, mouth jaw and teeth on every patient. In less than five minutes, a dental office which utilizes the proprietary and patent-pending TruDenta technology can determine whether a patient's symptoms may be the result of forces from the nerves, muscles and ligaments. The painless, computer guided analysis measures bite force and jaw action while in motion. It is a true and telling movie of your bite in process! The resulting digital, graphic report literally shows a patient where they may have abnormal forces or imbalances that could be the cause of certain symptoms. The technology is so advanced that it actually determines and calculates the bite force and motion on an individual, tooth by tooth basis along with the timing of those forces! Probably the only bite force measurement tools your current dentist utilizes is the black paper you are instructed to "chomp" on after a filling or crown! The TruDenta exam system also digitally measures a patient's head and neck's lateral and vertical motions. The computerized analysis provides an immediate report of any movement impairment, which may also indicate potential sources of pain or discomfort. Dr. Cheryl Freeman then completes a comprehensive physical exam of the head, neck, mouth, teeth and muscles to assist in developing a final diagnosis. At the completion of the exam, Dr. Cheryl Freeman will then be able to describe a pathway to care that will provide a lasting resolution to resolve a patient's symptoms. Many patients are amazed at the relief they feel after a single TruDenta treatment. Symptoms treated by TruDenta range widely: from a simple unbalanced bite not resulting in discomfort or pain, to chronic, decades long, life impairing headaches and migraines. Each patient receives a treatment program which is customized for their exact diagnosis, and treatment can begin immediately. TruDenta treatments last about 50 minutes and include the use of several proven, FDA cleared technologies. Depending upon the severity of the diagnosis, patients require from one to twelve treatments completed weekly. Thus, a patient with the most severe diagnosis could achieve lasting relief from their symptoms in about three months. Dr. Cheryl Freeman and her comprehensively trained staff complete the treatments within their dental office. The treatments are painless, and needle-free, and there are no drugs involved. 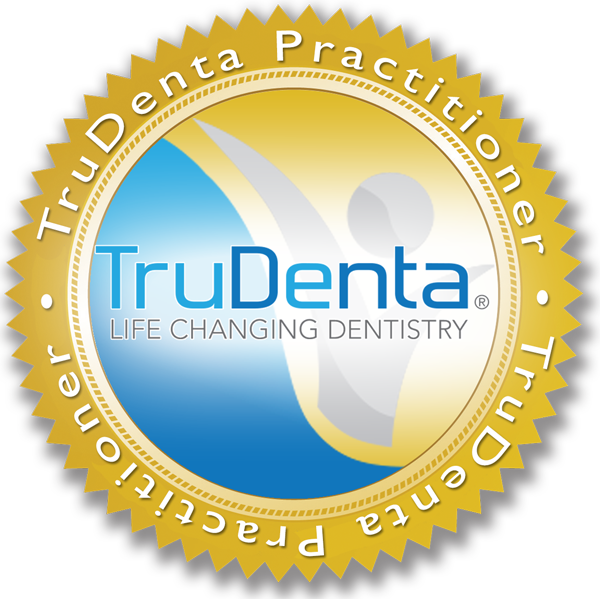 Visit Dr. Cheryl Freeman to receive a complete TruDenta examination and to find out if the program is right for you. They can explain the details of the TruDenta treatment system and show you the exact treatments required to relieve your symptoms!